According to the experts, a high quality case study is a special tool that is used to bring some reality segment into the classroom in order to work on it. Due to the great case study, the classroom discussion can be coordinated with some real life facts and situations. 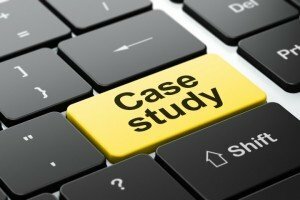 Here are some useful tips on how to write a high quality case study on your own. Make sure to identify the problems found in the case. Every analysis of a particular problem must be backed with facts given in the case as well as the related theory and course concepts. Do not forget to make a synopsis. Make certain to outline the case study purpose. Provide a short description of the research field as well as outline the findings and issues of the case study without giving any specific details. This will give your reader an opportunity to get a clear picture of the study essential contents. Sum up the major problems. When working on the discussion section of the case study, summarize the major problems and identify alternative solutions to them. Give a brief outline for every alternative solution and make certain to evaluate it in terms of its pros and cons. Use forceful style. This kind of writing should be completed in a forceful style since this section must be of a persuasive manner. Give explanations. Make sure to provide detailed explanations regarding what should be done, when and by whom. Make use of multiple data sources. Taking into account the fact that the case study captures all the details of a separate group, you must rely the very project on various data sources, including direct observation, audio tapes, interviews, documents and so on. Provide appendices, if any required. The author is required to note all original data that is relevant to the study but that would have interrupted the main body flow. Consider the back-story. Think about it as the so-called once-upon-a-time segment. It’s the moment, when you set up the case study by writing an introductive part to the key players of the project. Keep in mind, that the way you write about it will make it both – harder or easier for the reader to comprehend the information. Provide costs estimates. In case you are motivated to generate the case studies as a solid platform for your content marketing, make sure to include a thorough estimation of all costs – time and financial ones. Our custom writing service can provide you top-notch case study writing assistance at an affordable cost. Enjoy our website!